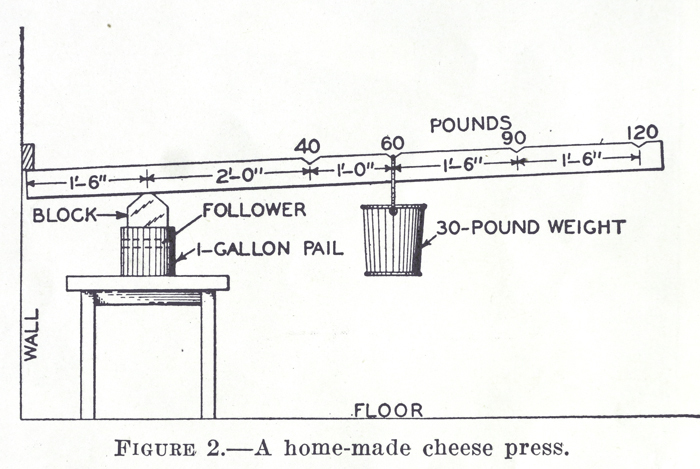 All hard cheese must be pressed. 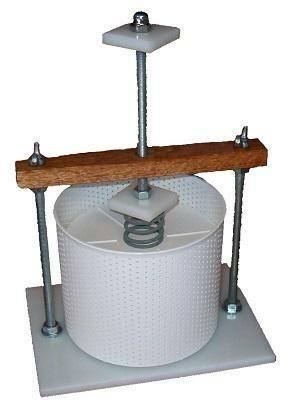 Cheese presses compact the curds and expel whey (moisture). Sanitise your cheese press, including any parts, line cheese mould with cheesecloth (or muslin) and fill with curds. Cover curds with cloth then add the follower (a plastic disk that covers the cheese surface) and press. The cheesecloth helps to wick away the moisture as the cheese is pressed. Excess whey is drawn out the sides of the mould through the numerous holes in the cheese mould and the bottom of the press. Removing the cheese from the mould, unwrapping and flipping the cheese between every pressing stage helps to achieve the same consistency throughout the cheese. Too much pressure = cheese too hard and dry. Not enough pressure = cheese too soft and might spoil during aging. Available from kitchen supply and homebrew stores. Made from food grade plastic, easy to clean and ready to use but higher in price. To use, simply line base with cheesecloth, add curds, cover with cloth, add disk and remaining cloth (on top of the cloth) then add the lid and twist to secure. Twist the handle to increase pressure. A scale will pop up and show the pressure level (up to 20kg). 2L volume. 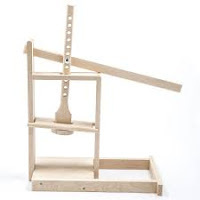 A wooden cheese press you can make at home with basic woodworking skills, low in cost and able to be used with most cheese moulds up to 4.5kg (10lbs) and you can add weights (pressure) up to 45kg (100lbs). Wipe carefully after use and ensure cheese does not come in contact with the wood. required, low cost and ability to use any size of cheese mould. The press can be removed from the bracket for storage. A press you can make yourself or buy online for around the same price as the plastic cheese press, but this press is much sturdier! 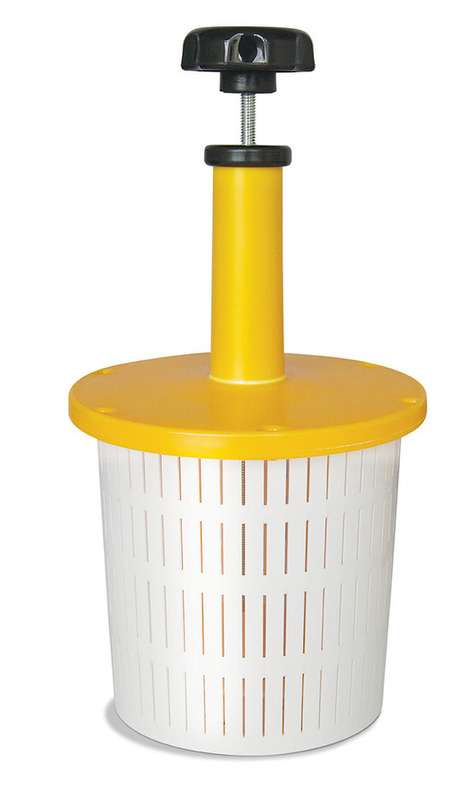 The base and handles are made from HDPE (a food grade plastic). The threaded rods, nuts and washers are stainless steel. Wipe clean before and after use. Twist the handle to push the spring down and increase the pressure.